WTF – MSN for Mac shows offline users! All I could say was… WTF?!?! 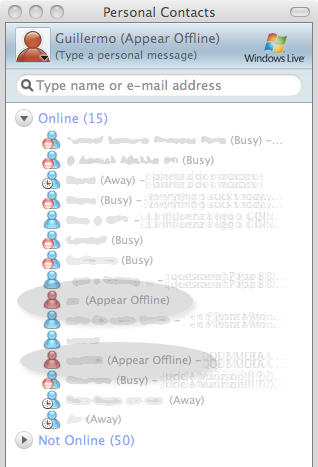 Looks like someone messed it up somewhere… a user should not see another user when he is in “Appear as Offline” status ….